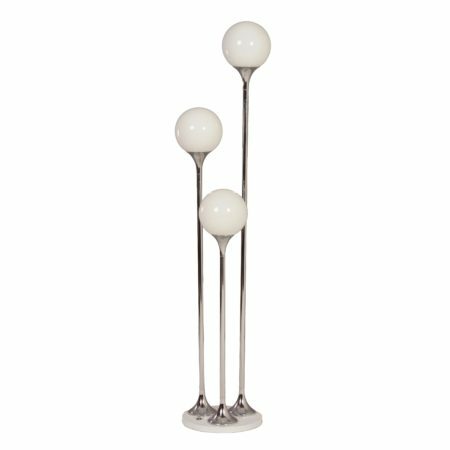 Beautiful Targetti Sankey floor lamp designed made by Targetti Sankey in the seventies. 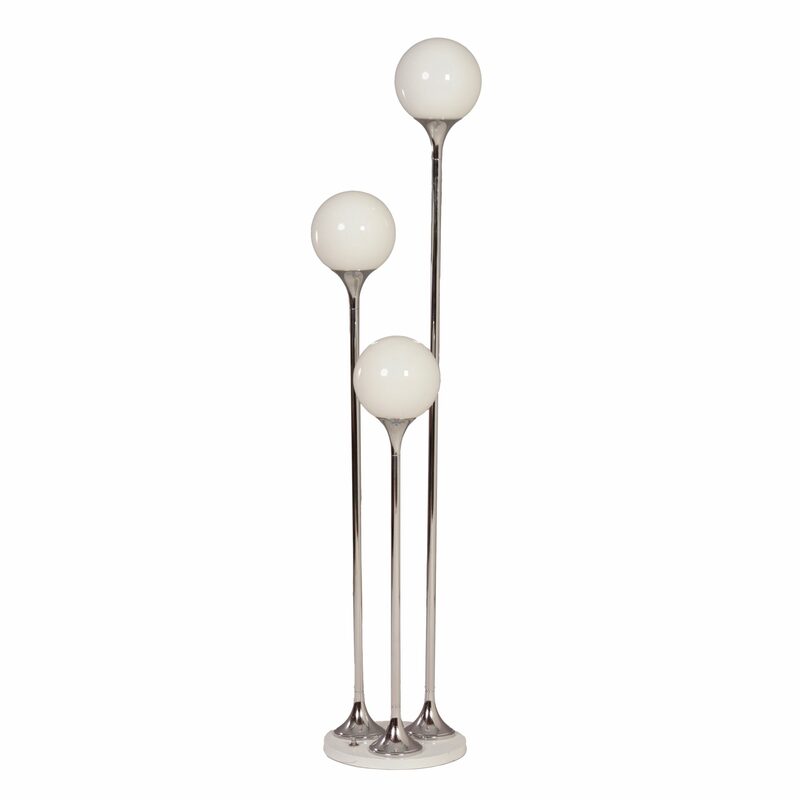 This mid-century floor lamp is made of mouth-blown Murano glass spheres in white glass. The base is made of iron (white) and the uprights of chrome-plated iron. 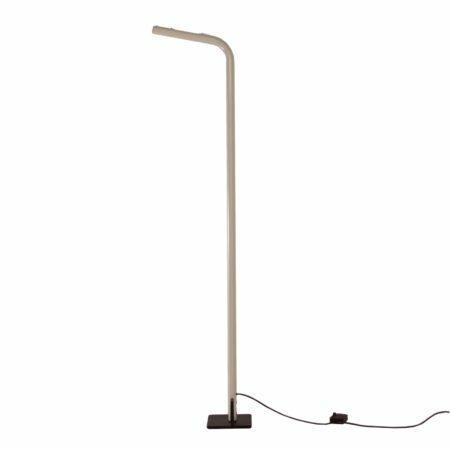 This lamp can be switched of en on by means of a pressure switch on the foot in three different light modes. Dimensions: h x w = 150 x 30 cm. Given the age this lamp is still in very good condition (see photo’s). The lamp is cleaned and polished and the wiring has been checked.